For every 100 calories of carbohydrate you consume your body expends 5 to 10 calories in digestion, for fat calories even less. However, for every 100 calories of protein you consume, your body needs 20 to 30 calories to digest it. AND it’s even more complicated…. Just because you eat these calories does not insure that they are being digested. Normally as the calories go through your tummy and reach your small intestine most of the nutrients are absorbed. Fat is digested fairly well. Protein and all animal sources are also fairly digestible. Plant sources are the least digestible. What does that mean? complex carbs like vegetables and whole grains block the absorption of calories, including other calories! 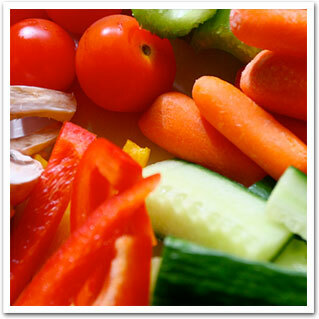 In fact, a very high fiber diet, like the Skinny Coach diet, can block up to 20% of the calories you consume. A research article in the Journal of Nutrition found that a high fiber diet leaves up to twice as many calories undigested as a low fiber diet. If you want to lose weight, this is the hot tip: eat protein at every meal and consume at least 40 grams of fiber a day. It took years for me to figure out why my skinny girls who eat so much food – lose so much weight so quickly. We know the answer now. Donna lost 21 pounds her first month and is still on the Skinny Coach diet over a year later! Go Skinny Go. Posted in Dieting, Digestion, Nutrition and tagged calories, carbohydrate, digestion, fiber diet, high fiber, whole grains on May 28, 2015 by tiffany.